Endometriosis is a disorder that affects a woman’s reproductive organs. It causes the tissue that lines the uterus (which is known as the endometrium) to grow outside of the uterus. This can cause scar tissue to form, can be painful and affect fertility. During menstruation the lining of the uterus is shed. However in endometriosis instead of expelling this lining from the body, it becomes attached to other parts of the reproductive system, pelvis, and in some cases even distant organs of a woman’s body. The cause of endometriosis is not known. Some scientists believe that genetics may play an important role1. Women have a greater risk of developing endometriosis if they have a family history of the condition. The scar tissue caused by the condition can hinder sperm travelling through a woman’s reproductive system. Scar tissue may prevent a fertilised egg implanting properly. In some cases the scar tissue can block fallopian tubes. It is also possible that the fallopian tubes are not in the proper position, due to scarring and adhesions. This alteration can prevent the egg being transferred to a woman’s uterus. According to the Endometriosis Foundation of America, many women have symptoms of endometriosis for up to a decade before being diagnosed. Women are typically not diagnosed until they are around 27 years old. Endometriosis is not an uncommon disorder. Statistic show that it affects 178 million women worldwide. Nearly 8.5 million women of childbearing age in the United States have been diagnosed with the condition. Endometriosis is considered to be one of the top three causes of infertility, and it can be treated. If you have been diagnosed with endometriosis, have a family history of it, or are experiencing some of the symptoms, you should speak to your gynocologist or fertility specialist immediately. Treating endometriosis early could help to prevent further scarring and damage. Some women experience many signs and symptoms of endometriosis, while others have none. The main complaint is pelvic pain during menses. Cramping can be a normal occurrence for most women during their period. Women with endometriosis often experience particularly painful cramping. Women may also have severe back pain during menstruation, and painful bowel movements. Another sign is experiencing pelvic pain during intimacy. Aggravated pre-menstrual syndrome symptoms are also common with this disorder. Some fertility specialists believe that endometriosis is caused by a hormone disorder3. The theory is that women with endometriosis may be producing irregular amounts of oestrogen and/or progesterone. It has also been claimed that endometriosis could be caused by an impairment of the liver’s cleansing function. The liver may not be breaking down active oestrogen properly, creating oestrogen dominance and progesterone deficiency. For these reasons, some natural therapy fertility specialists suggest treatments to promote a healthier “liver cleansing” system, as well as treatments to balance reproductive hormonal levels. Additionally, using castor oil packs on the abdominal area may improve circulation and break up congestion caused by the scar tissue. Most of the micronutrients, which are used to treat endomedriosis also increase general female fertility. 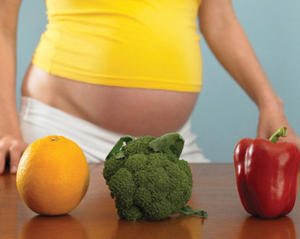 There are many dietary factors that may influence the risk of developing endometriosis. Consuming red meat increases endometriosis risk4. Conversely, increased consumption of long-chain omega-3 fatty acids (prevalent in fatty, cold-water fish) is associated with a lower risk of endometriosis. Women consuming a diet rich in trans fats are also at a higher risk of being diagnosed with endometriosis5. Other foods may also play an important role. Increased consumption of dairy products may reduce the risk of endometriosis6. Dairy products may also provide the body with vitamin D. High vitamin D levels are associated with reductions in endometriosis risk7. In addition, eating more fruits and vegetables may also play a protective role.